Here are some cartoons that we just had to share. 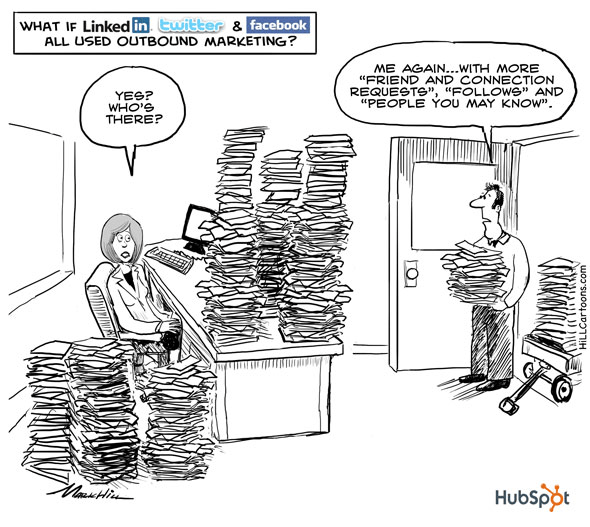 Created by the folks over at Hubspot, these cartoons are a humorous look at what life would be if internet marketing was real life . Just click on any of the images below to see the expanded/larger version. 4. 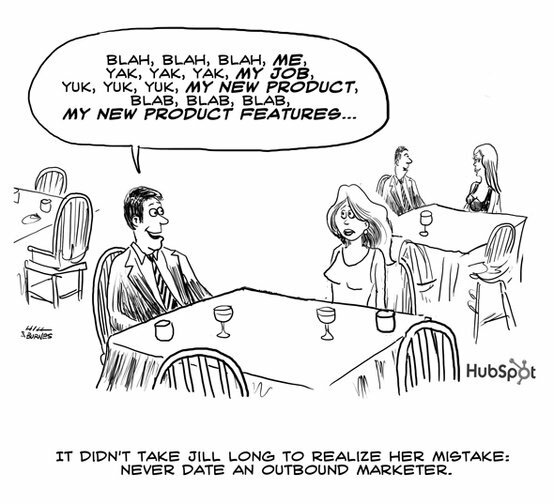 What If LinkedIn, Twitter, and Facebook All Used Outbound Marketing? 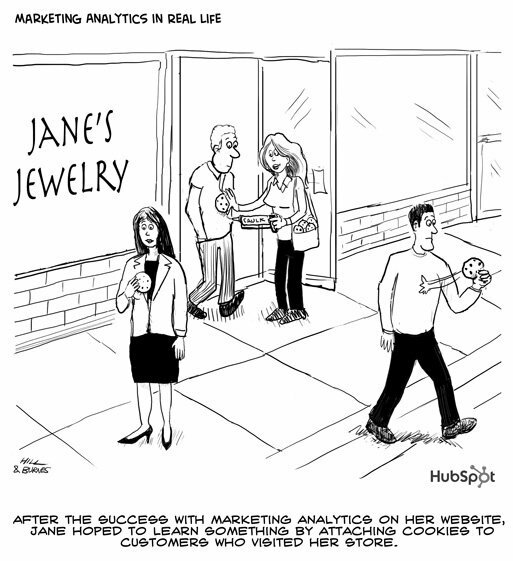 Social Media Cartoons – What If …?